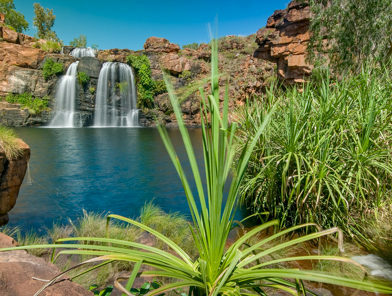 Tableland Wildlife Sanctuary protects over 300,000 hectares of the remote central Kimberley, and provides a new model for integrating conservation and community development on indigenous land. 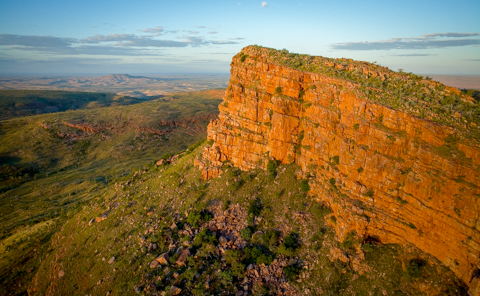 Tableland became an AWC sanctuary in 2012, and covers 307,000 hectares of the remote central Kimberley. Adjacent to Mornington-Marion Downs, the three properties combined represent a contiguous protected area of more than 870,000 hectares (over 2.1 million acres). The landscapes on the sanctuary are dramatic, with spectacular ranges, major rivers, deep sandstone gorges and steep-sided mesas. 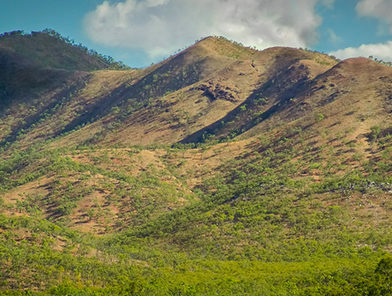 The Durack Ranges form the spine of the property – raised folds of ancient marine sandstone interleaved with narrow valleys of alluvial and basaltic soils. The Chamberlain Valley is the largest of these, running over 120km from the centre of the property to the north eastern boundary. Spectacular gorges such as Crocodile and Teronis Gorge cut through the sandstone between the valleys. 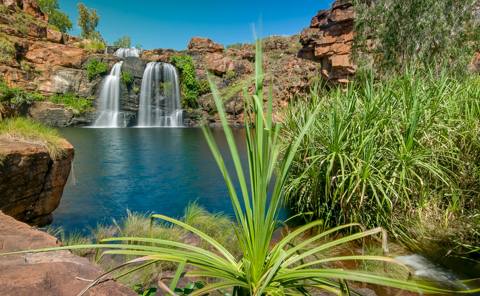 Tableland Wildlife Sanctuary encompasses the headwaters of three major Kimberley rivers, and importantly protects the upper catchment of the Fitzroy River – the largest unregulated river in Western Australia. These waterways pulse in seasonal cycles, from massive flooding events in the wet season (December to April), to chains of contracted pools during the dry season. The habitats on Tableland are varied – from extensive blacksoil plains that form gilgais (the Spirit Tracks) with the expansion and contraction of the clay, to thick spinifex on the ranges dotted with eucalypts and Livistona palms. Narrow ribbons of riparian vegetation fringe the waterways – tall river red gums, Pandanus and Freshwater Mangroves – and small patches of fire-sensitive vegetation crowd in the gorges. The savannah woodlands in the valleys and plains are often peppered with iconic Boabs. These habitats support over 700 species of flora, including many endemic plants. 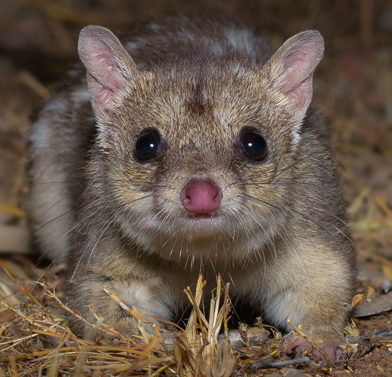 Tableland is a stronghold for many species that are in decline elsewhere in northern Australia, as well as Kimberley endemics like the Ningbing Pseudantechinus. Tiny and ferocious Common and Long-tailed Planigales hunt for their prey in the cracks of the blacksoil plains. The bird fauna is especially diverse, including several finch species, a large number of raptors, riparian specialists (Purple-crowned Fairy-wrens and Buff-sided Robins) and large populations of the ground-dwelling Australian Bustard and Bush Stone-curlew. Fire management on Tableland is conducted as part of EcoFire – the largest non-government fire management program in Australia. Extensive feral herbivore control has been undertaken, resulting in a significant reduction in densities of horses and feral cattle. In partnership with the Yulmbu community, AWC has established significant additional fencing and associated infrastructure to form a “sustainable pastoral zone” in which the community retain a small herd of cattle. Feral cattle, together with feral horses and donkeys, are being removed from the rest of the property through a combination of mustering and shooting. Our Science program incorporates around 2,000 live trap nights per annum plus a series of camera trap surveys, bird surveys and vegetation surveys, and aims to generate a comprehensive inventory of the species present within the sanctuary. The surveys measure a suite of ecological health indicators at Tableland, such as the abundance and density of small animals that rely on a structurally and functionally intact ground layer, and the abundance of White Cypress Pine (Callitris columellaris) an ancient Gondwanan conifer that is a relic of a wetter climate. Dingo and cat monitoring are being carried out as part of Australia’s most extensive feral cat research program. Density is being measured using mark-recapture analysis from camera trap images by identifying individual cats. Weed control is crucial at Tableland as the property spans the catchment of several major rivers. In conjunction with the Yulmbu community, AWC has met all the set targets for weed control, and is focused on containing infestations and preventing the introduction of new invasive weeds. 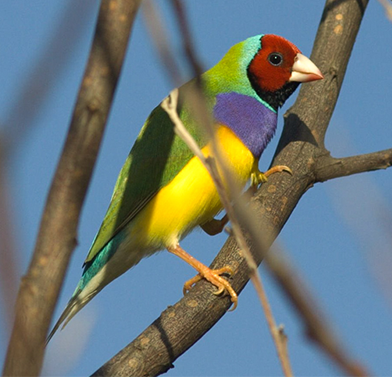 Preserving the wildlife of the Kimberley is about protecting and restoring habitat. On Tableland, AWC is working towards this by reducing the density of cattle on the property and restricting their range, actively managing fire to maintain patches of unburnt habitat (which also helps to reduce the impact of feral cats), and controlling weeds.